SEARCY, Ark. (Feb. 4, 2019) — The Harding University Athletic Department announced it is building a $5.2 million indoor football practice facility, the largest indoor practice facility in NCAA Division II and one of the largest in the country for any level. It will be named the Huckeba Field House in honor of longtime football coach, Ronnie Huckeba. 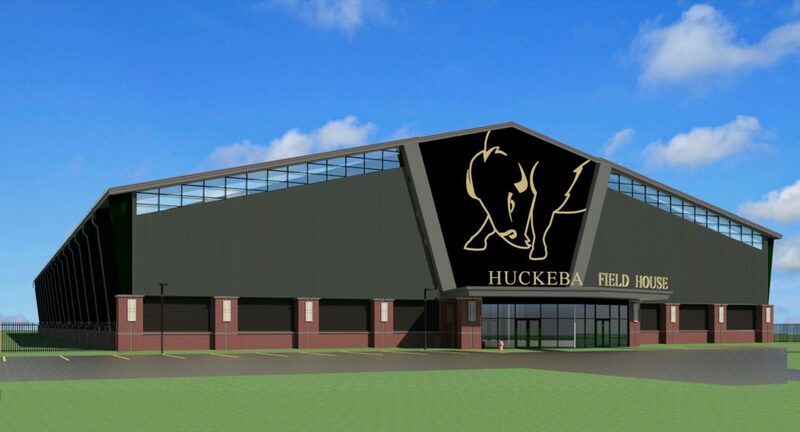 The facility will be completely funded by private donations from the Bison Brotherhood — former players, alumni and friends of the Harding football program. The indoor field will be dedicated to the Smith family, recognizing their $300,000 lead gift. Harding University is a private Christian, liberal arts university located in Searcy, Arkansas. Accredited by the Higher Learning Commission, it is the largest private university in the state. Harding’s student body represents all 50 states and 50 nations and territories. The University offers more than 100 undergraduate majors; graduate and professional degrees at the master’s, specialist and doctoral levels; as well as numerous study abroad opportunities including locations in Australasia, Chile, England, France, Greece, Italy and Zambia. Harding is ranked No. 3 nationally in student engagement by the Wall Street Journal for 2019. For more information, visit harding.edu.